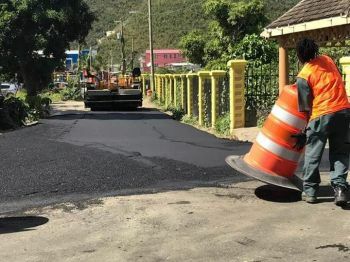 BAUGHERS BAY, Tortola, VI – Man of the cloth and social commentator, Claude O. Skelton-Cline says it is unfortunate that four weeks before the February 25, 2019 Polls, the Hon Myron V. Walwyn led National Democratic Party (NDP 1) is seeing the need to pave roads. 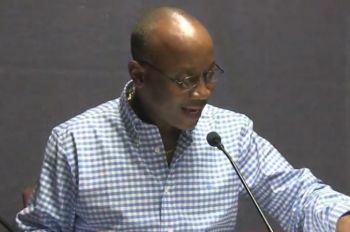 Mr Skelton-Cline lashed out at the actions of the administration on the Tuesday, February 5, 2019, edition of his ‘Honestly Speaking’ Radio show on ZBVI 780 am. “We have elected a government for 8 years now, we have given them two terms, the National Democratic Party government… it’s unfortunate we have come to where we have come to,” he told his listening audience. “We elect men and women to serve for four years, and they turn around and serve it for four weeks,” he uttered in reference to projects being started days before elections. “Every election, we’re seeing what I call elections roads… as you drive across different parts of the territory, you see roads being paved, asphalt being laid,” Mr Skelton-Cline pointed out. 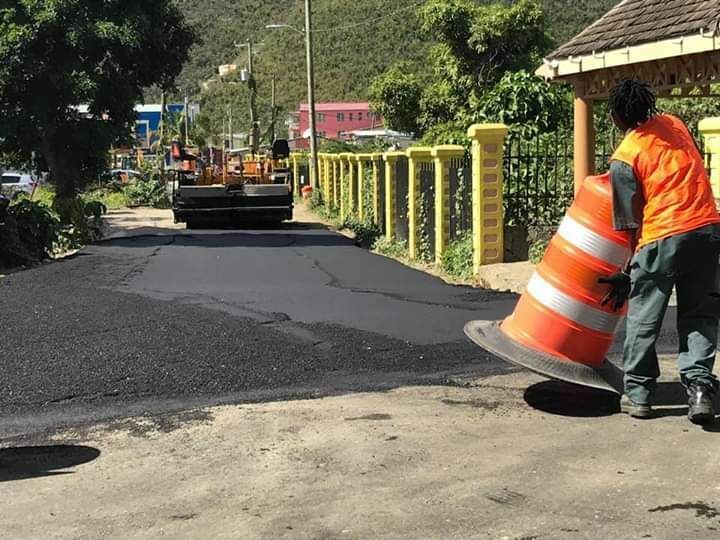 New roads can be seen in the Road Town waterfront area and in Purcell Estate leading to Free Bottom on Tortola. 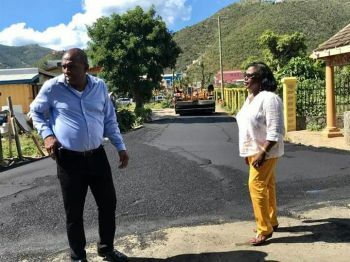 The District Representative, Hon Alvera Maduro-Caines (R6) said she had to “harass” the Communications and Works Minister, Hon Mark H. Vanterpool (R4) to get the road done. He continued, “These are election roads, you ain't done nothing for four years, we’re driving, mashing up our cars, causing us a tremendous amount of money in maintenance… it’s a hell to drive both for residents as well as visitors… and then 4 weeks before elections, you begin to pave roads,” the man of the cloth said in lashing out. He further pointed out that the new asphalt may wash away after heavy rainfall resulting in a complete waste of money. Claude O (for Overspend) is certainly doing a lot of talking for the VIP. Every time he opens his mouth, the VIP are losing votes. This is how stupid they think you are!!!! Go and sit down Pastor Claude, you have no credibility. No body listens to you on anything anymore guy.